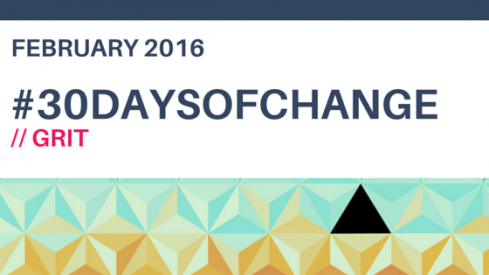 Missed out on some of our #30daysofChange tips and advice during February? We’ve listed them all here for you to print out and keep near you. If you didn’t get a chance to try some of them in the past month, take some time out this month for it. 01 – Reflect on Failure, everything is a lesson we can learn from. 02 – Practice makes perfect and with success comes with practice. 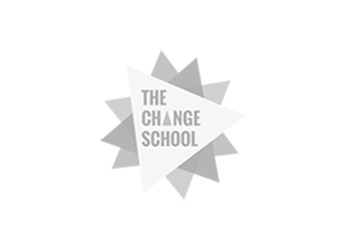 03 – Build your moral compass. Cultivate your internal strengths to help you listen to your instincts, write them down and understand what your ethics and values are. 04 – It’s important to build a physical routine. Through a routine you can build determination and grit, physical activity and being physically fit will help you with gaining mental strength. 05 – Find a role model, or a few role models to help you. The more you surround yourself with good role models the more we can learn and develop grit. 06 – Everyone has fears, but we must learn how to face our fears. Creating a systematic approach to facing your fears may help you overcome them. List one or two of the fears you’d like to overcome and take the necessary steps to work through them. 07 – Move from a fixed mindset to a growth mindset. Try this test to help you understand your mindset. Identify an area where you tend to quit in the face of difficulty. 08 – When the going get’s tough, keep going. Persevere. If you feel like you’re struggling rather than quitting, we suggest re-evaluating your goals and adapt. 09 – Define what mental toughness means to you, write it down and review it daily. Keep this as a form of motivation. 10 - Consistency works well with practice. It’s not about your motivation, it’s about your habits and staying consistent in something. Nothing will ever change if you aren’t consistent. Small wins are better than nothing. 11 – Don’t give in to temptation. If you’re feeling tempted commit to not giving in for at least 15 minutes. If the urge is still there niggling at you, try holding back for another 15 minutes. Temptation will eventually pass and if not, perhaps it’s a sign. 12 – Learn from the past. Everyone has a past and rather than hide from it, learn from it. Past experiences can teach you a lot about yourself and people. Use the experiences, mistakes and challenges to help you move forward. Write any learnings you have down. 13 – Try not to waste your energy complaining. Try directing the energy you use complaining instead to overcoming obstacles, you will feel a big difference. Remember there is power in words which in turn effects our mindset. 14 – Track your grit development using the Grit Grower worksheet. 15 – Create a list of words that help you describe what grit means to you. Once you’ve listed the words, put it together on Wordle. Each week choose one word from your grit cloud that you want to focus on to help strengthen your character. 16 – When learning new things be ok with struggle. We can’t always get every idea or tool or theory immediately. Be ok with struggle. 17 – Be inspired through reading books or stories about gritty people. One book we love is Grit to Great. 18 – Aim above your current skill level. Do more of what brings the best of you out, this will help to build motivation and confidence. Challenge yourself from your current comfort zone but not too far that you are in what some people call a ‘panic zone’. 19 – Grit requires a lot of passion so it’s said over and over but try and focus on your passion. Understand what motivates you, what drives you and what you’re passionate about. 20 – Look at the world with optimism. If you’re usually a pessimist, re-frame, shift your view every time you start thinking negatively or having a pessimistic view. To develop true grit you must learn how to develop realistic optimism. 21 – Criticism doesn’t mean it’s bad, it’s just a critique to help you learn and further grow. Don’t take criticism personal, absorb what has been shared with you and figure out what ways you can make changes. Be wary of where the criticism is coming from at the same time. Not all criticism is worth taking in! 22 – Learn how you can build self-directed learning. Learning how to learn is important, but learning how to learn yourself is more important. 23 – Build momentum with creative tension. 24 – Work on trying to regulate your attention. These days we all tend to have a minimal attention span but if we could build effortful control through regulating our attention we’d be surprised at how much more productive and mindful we would be each day. 25 – Create a self-reporting system. Tracking is always helpful when we’re trying to make changes. Create a tracking system that monitors your attitudes, behaviours, perceptions, beliefs and goals. If this is journaling or noting it down on an excel spreadsheet then go for it! 26 – Stay true to yourself. One of the hardest things in life is staying true to yourself. There are just some times where you need to be firm and stick to your decisions and plans. You don’t have to listen to what everyone says, as long as you know WHY you’re doing what you’re doing. 27 – Have hope and be joyful. Anything is possible if you believe in it. 28 – Obstacles will always come up in work and life but learn how to see obstacles as temporary vs permanent. There are times where obstacles are there for a reason, reflect as to why the obstacle may have come up and look at solutions to help you overcome them. 29 – If you’re still struggling by this time….we suggest taking the grit test here.